Terminal Inanam is considered the largest bus terminal in Kota Kinabalu and is the main bus terminal within the town as well. There are many bus operators that come and go from this terminal. Manis Liner Express, Tung Ma Express, and Dyana Express are just the few to mention. 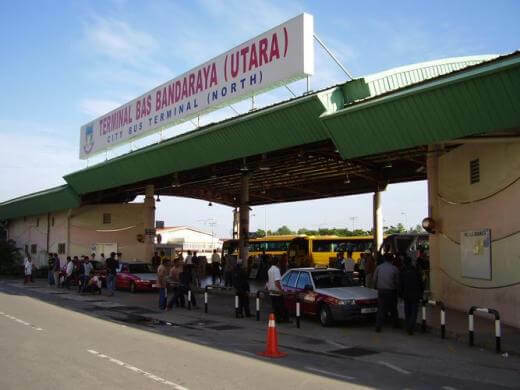 These bus operators carry out their services at this terminal, providing trips to various parts in East Malaysia. Some to mention are from Kota Kinabalu to Semporna, Tawau, Sandakan and more. Serves as a pickup and drop off point for many bus operators in East Malaysia. Accessible through various modes of transportation. CatchThatBus provide users with the convenience of booking online bus tickets from buses operating at Terminal Inanam. These buses provide daily trips to and from Terminal Inanam to numerous destinations. You can book your bus ticket online from our website or via mobile app which can be downloaded for free on Google Play or App Store.